In conjunction with the Scientist Gone Wordy, my wonderful blogging friend Rachel, this will be our second parallel posting. You know, where the pair of us review and discuss a particular and noteworthy film, and its source novel. In my case, I’ll be taking a look at the 2006 dystopian science fiction film, Children of Men. I originally screened this film back in the Spring of 2007 on a standard DVD I rented, as I did not catch it during its initial, and relatively short-lived, mainstream U.S. release the previous year. A brief synopsis of the film: In the future time of 2027, the world of man has taken a decidedly bleak and chaotic turn for the worst. The world appears on the brink of a total societal breakdown. Terrorism and environmental damage are rampant. The few places on the planet where things are seemingly under control (in the U.K. for this story) seem to have gone the fascist, military control route…big time. The reason for all of the despairing calamity comes down to one significant fact: the 18 years of human infertility. Theo Faron (marvelously played by Clive Owen) is one of the lucky ones — as defined by the fact that he is a U.K. citizen with a job, and not one of the ill-fated refugees. You can tell the military and politicians consider them the barbarian horde by their less than humane treatment of the outsiders. The Britain that “soldiers on” has become the cold gray sanctuary. A testament to how bad it is elsewhere. The former activist content to live out the remaining years of shared melancholy in alcohol-induced drudgery with his handful of friends. At least, before they euthanize themselves. Just about everyone here is in a joyless state. That is, until his estranged wife (the wonderful Julianne Moore in the all-too-short role of Julian) re-enters his life with a proposition: find a way to illegally transport a fugitive, “a fugi”, across the police state lines. My review: my initial viewing of this film left me with the impression that this was a remarkably disheartening film, though done with extraordinary skill by the rising Mexican director, Alfonso Cuarón. Honestly, I hadn’t any mounting desire to see it again anytime soon because of its initial impact. I’ll write that off as I didn’t know what I was looking at. Yeah… that sounds like CYA to me, too. So? Thankfully, my fellow blogger roused me from that early disregard and got me to take a closer look at it once more. I’m glad I did. I now believe the story makes an insightful look at humankind’s capacity for self-awareness, emotion, and ultimately… hope. Author P.D. James’, and the film’s screenwriters, concept of making every conscious being in her tale — those left in the resulting pandemonium, that is — painfully mindful to the fact that each of them is the last of their kind was a dauntingly stark idea to come to grips with. For both those up on the screen, as well as those watching or perhaps reading it. Being sentient is a double-edged sword, it seems. You are aware of yourself, and others, but all too well come to know your time on this earth is fleetingly finite. For most of us, the only comfort found is the fact that we constantly renew ourselves, as a species, through human reproduction. Naturally or artificially. We take solace in living on through our children. Whether they’re yours or not. But, when there is no offspring…you get one denuded and grim future. It’s here that the filmmakers went above and beyond with their story, and art direction. They presented the audience with a visual terrain that looks like it’s headed for its last winter, alright. This was especially so when the story reaches the Bexhill refugee camp. Think of it as a cross between the cold, dreary England shown in Mike Hodges’ terrific Get Carter (Michael Caine also appeared in that film plus this one) and Stanley Kubrick‘s horrific killing ground in the Battle of Huế from Full Metal Jacket. The children of men in this story certainly have a field day with it to be sure. Additionally, one cannot ignore how the movie’s producers conspicuously incorporated some recent and stark remnants of the 00s as part of the film’s social and political commentary. Once the lead characters, including Claire-Hope Ashitey as the importantly pregnant Kee, reach the climatic third act the film, it’s packed with allusions and symbolism relating to 9/11, Abu Ghraib, torture, and the political scapegoating of immigrants. Children of Men retains a very powerful imagery. As well, the symbolism of religion was used quite effectively throughout the picture by director/writer Cuarón. The Christian exemplars of the Fishes, the revolutionary group depicted, and flocks (the sheep and shepherd walk-through was a tad obvious, don’t ‘ya think?) were certainly present. Unquestionably, used to instill a faith in a light at the end of a dark tunnel. All the more, there’s even the shadow of a Hamas-like uprising presented in the refugee camp, too. Even with all that, this is essentially a journey film — Theo’s journey. His path from utter pessimism, through the darkest of times with the loss of his dearest friends along the way, to ultimately one of hope at his, and the film’s, end remains the core of the story-line. As a parent of two myself, I was moved to the point of tears at where Theo arrives by the film’s surprising and abrupt end title. The other unexpected sign I stumbled upon in this screening was the optimistic use of pets. Note all of the cats and dogs that Theo attracts throughout the film. It’s a purposeful ploy in the film, one meant to buoy the character (as well as the audience) across the hardship. I’d also note another extraordinary facet of this film, besides the passage and distinct mood of the piece. That is, director Alfonso Cuarón’s decision and execution of the number of long takes and extended tracking shots used throughout Children of Men. The camera work alone (with additional kudos to Peter Hannan and Emmanuel Lubezki) in these startling segments was nothing short of astonishing when you take them all in. On second viewing, one in particular really hit me this time. The climatic action set demonstrated the supreme skill of the camera operator, the director and ensemble actors, and unpredictability of the story all at once. If you’ve seen it, you know the one I’m referring to. It is Theo’s rescue of Kee at Bexhill, and their subsequent walk out of a building, all of which is in the midst of a violent, chaotic, bullet-filled firefight. The scene somehow, among all of its pervasive bloodshed and decimation, managed to hold both turmoil and hopefulness in a precarious balance, and never dropped either (or the viewers) anytime along the way. It remains one virtuoso cinematic sequence. Simply put, Cuarón’s Children of Men persists in being an astounding piece of film-making. Period. That it incorporated an original story around a strikingly bleak setting, and comes out anywhere near the vicinity, let alone the prospect, of hope makes it extraordinary, in my mind. After I first saw the film, I’d read it had a growing reputation among fans along the same lines as Ridley Scott’s startling 1982 sci-fi film, Blade Runner. I scoffed at that, at first. But after re-tracing Theo’s transit, initially counting down the number of his fellow-man in dreary fatalism but finishing his life knowing he helped nurture an uptick, now I don’t. 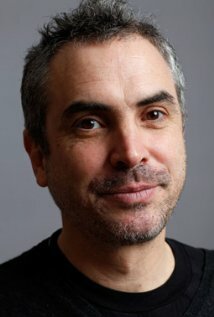 Director Alfonso Cuarón clearly demonstrated he has the budding visionary chops of a Ridley Scott. Theo’s journey was as remarkable as Decker‘s, in my opinion. It is one to savor, and remember. Thanks for bringing me back to it, Rachel. 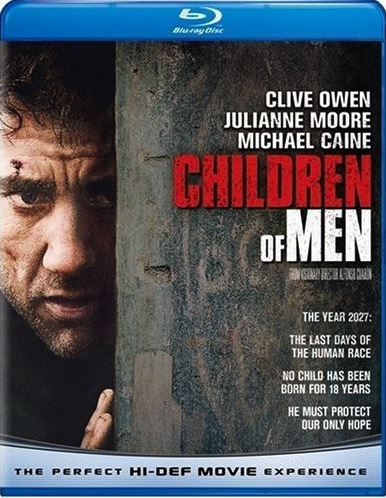 The disc: The basis of this review was the Blu-ray Disc of Children of Men. My first viewing in standard definition DVD was not eye-catching. This BD of the film was another story altogether. Even through the cloudy gray sky backdrop, the film remains sharp and unexpectedly vivid. Though it doesn’t lend itself to eye-popping colors, the high-definition picture and contrasts really brought out the lighting and shadows of the film. It’s hard to find any grain in the piece. The audio, too, made my watching a listening event. The haunting and spiritually themed soundtrack, by way of the DTS-HD audio made me want to crank up the home theater system (I hope the neighbors didn’t mind, especially during the film’s action sets). The extras were surprisingly good… I don’t expect much from Universal, usually. These included deleted scenes, documentaries, and a picture-in-picture commentary track with Cuarón. After watching this, I’d find it hard to go back to viewing this film again in SD disc. I highly recommend. Tagged: Alfonso Cuarón, Arts, Children of Men, Clive Owen, Film, Julianne Moore, Michael Caine, P. D. James, parallel post, Review, U.K.
Man I love this film. This deserves to be regarded as a classic 20-30 years from now. Loved the write up. Excellent, detail oriented write up of a film that, unfortunately, underperformed at the box office, but has since found a following on DVD. Oh man!! You really made me want to see this again pronto! I saw this years ago on the big screen and it really made an impact. It’s one of those films that stayed with you for days… especially that heart-wrenching finale. “…Cuarón’s Children of Men persists in being an astounding piece of film-making.” Indeed. It also gives you so much to chew on that I’m sure still stands the test of time. But I had to vent a little about Children Of Men. It was my second attempt at sitting through this film today and I forced myself through to the end. It’s not a bad film, but I felt an entirely overrated film. I cannot for the life of me understand the love and adoration for this film after two attempts. In many respects I felt the same way about Cuaron’s Gravity. Another overrated film. I don’t know why I didn’t love the film as you did or so many have, but I simply did not find the film compelling in its idea regarding infertility and the child being born. It seemed like Cuaron was attempting a bigger statement but I never found it all that compelling. I know I’ve seen reviews indicating this film may be a classic but it’s no Blade Runner and certainly not nearly as interesting visually as Scott’s film. Anyway, just lending my two cents to the conversation here. 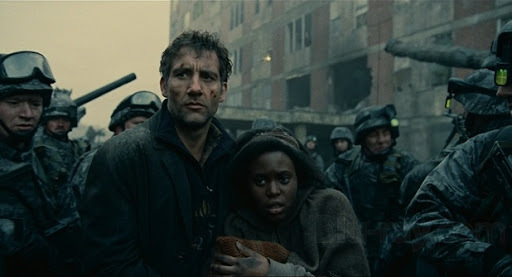 In no way do I mean to be a Debbie downer about the film, a kind of downer itself (yes with a happy ending sort of), but I just had to say that Children Of Men was not as interesting or life-affirming a film as many have seen it for me. Fortunately I rented the film from the library and will now remove it from the must own list. Hey, G. Great to hear from you, my friend. I take it as an honor you chose to vent here about CHILDREN OF MEN. We’re on opposite ends on how we feel toward it, I know. Heck, you’ve tolerated my railing of Frank Daramont’s adaptation (re: that ending) of Stephen King’s THE MIST, so I think it fair. Comes with the territory of cinema, and perhaps especially with science-fiction. The most important aspect of it as genre is that we examine it, look for meaning within. What works for us and what doesn’t. That it stirs us one way or another is the journey. The final destination (what we like or don’t like) a wonderful byproduct we get to detail by writing our thoughts down about it. Really love that passionate part, no matter which way it goes. Likewise and well said my friend.